When distributing the modification, keep the original (copyright) links and rights! 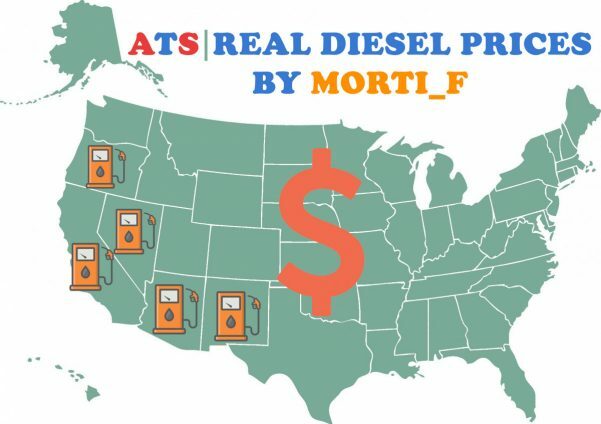 The basis of prices, taken the average cost of diesel fuel in the state! For the rest of the states (added by mods) prices are about realistic. При распространении модификации, сохранять оригинальные (авторские) ссылки и права! Для остальных штатов (добавляемых модами) цены примерно реалистичные. -This mod should have the highest priority over other economic modifications! -Now the version will be indicated not by the full date, but by the number of weeks that have passed since the release of the first version of the mod. If something is wrong, please leave a comment. -For the rest of the states (added by mods) prices are about realistic.